There's nothing quite like a crisp new pair of Converse! I used to buy the All Star High Top sneakers in high school, so getting a new pair this week is a nice change from my typical low tops. Converse sent me over these shoes to review, and I must say that I will always love this classic style and design. As with all my Converse, they're comfortable and a a good fit. 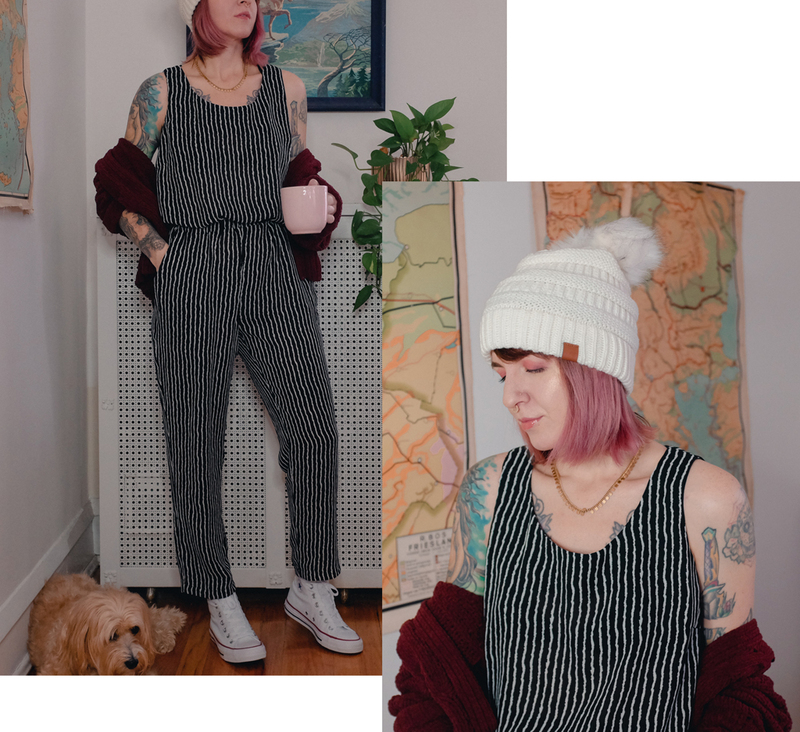 They go with everything, even when it's just lounging around, avoiding the snow with my little pup. Which Converse sneakers are your favorite? I normally buy them in white, but tell me what your favorite color is in the comments! These sneakers were a gift from Converse. All opinions are my own. Thank you for supporting brands that support Mini Penny Blog.